On my bucket list are countless destinations, but rising to the top is India. Although I have an idea as to the must sees for me an outdoors adventure lover, I wanted to know the basics. 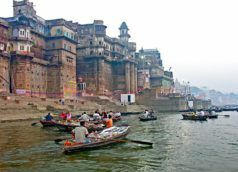 That’s why I enlisted the help of peer travel writer, Alex, who has spent numerous years in India. Take.